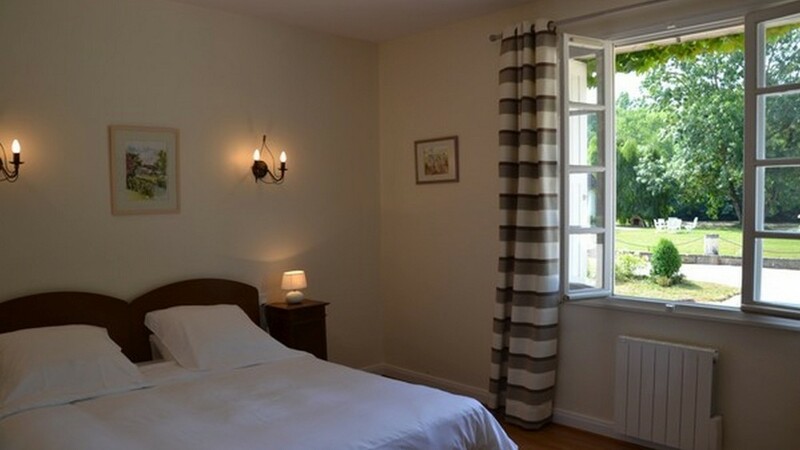 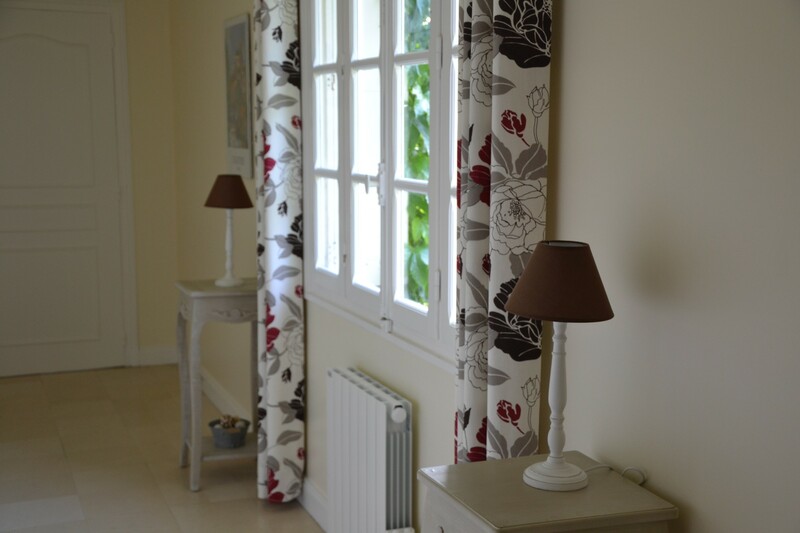 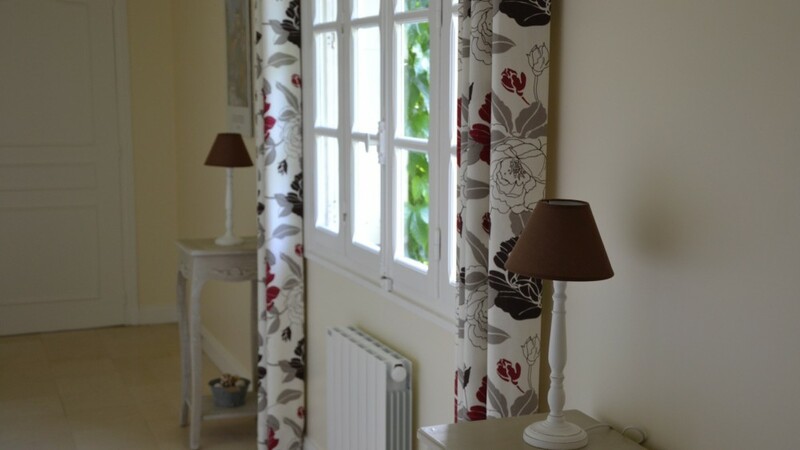 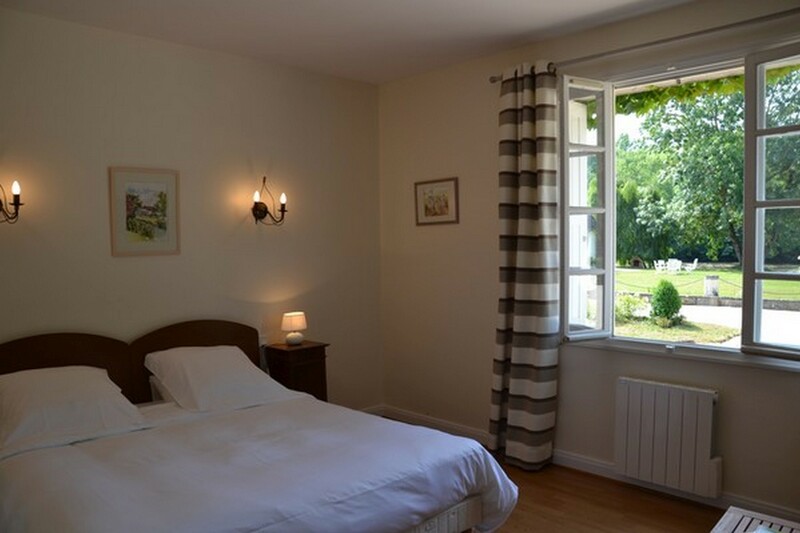 « Family suite » for four people, on the ground floor, comprising two beautiful rooms with a Loir river view. 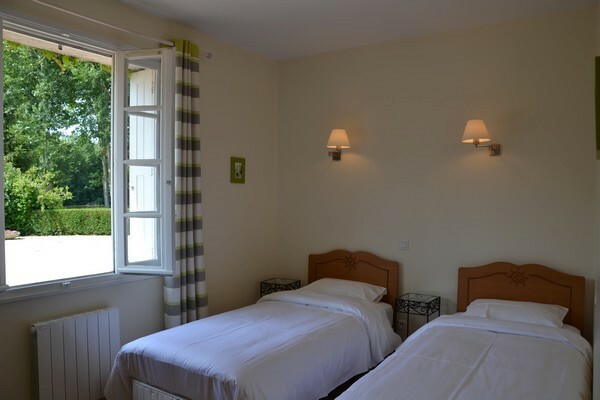 Served by a private corridor, these two bedrooms share a WC and a bathroom (bathtub, washbasin). 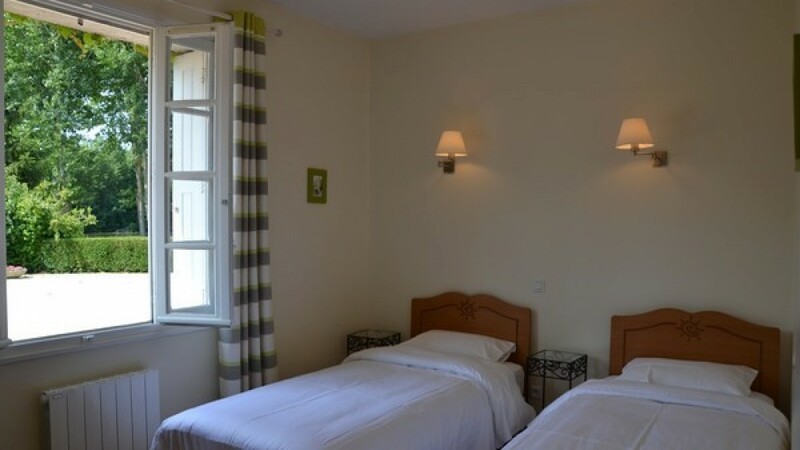 Each room will be set up, according to your stated wishes, as two separate beds (90cm x 200 cm) or a double bed (180cm x 200cm).